Sony has been struggling to move the PS Vita. It might be a decent piece of hardware, but it simply isn’t a must-have handheld the way that the Nintendo 3DS is – but they might have found the way to fix that. Leaking out of France comes this listing on Amazon which shows the Ultimate Player Edition, bundling the PS4 and PSVita. The bundle is listed at 580 euros, offering about a 20 euro savings compared to the normal RRP for the two devices; so, essentially the same price as the two devices bought separately, but in the convenience of one box. I’ve been saying for a while that I really wanted to see the two devices bundled together – it’s a great way to move units of the PS Vita and ensures that bundle buyers can take advantage of cross-play opportunities. For those who don’t already own the new console, this is an ideal way to move into the new generation of console and handheld gaming in one easy step. Of course, at this price it doesn’t really make it that appealing an offer. If that price could come down a bit, we might see an increase in the install base for PS4 and PS Vita at the same time. What price would you be willing to pay to pick this bundle up? 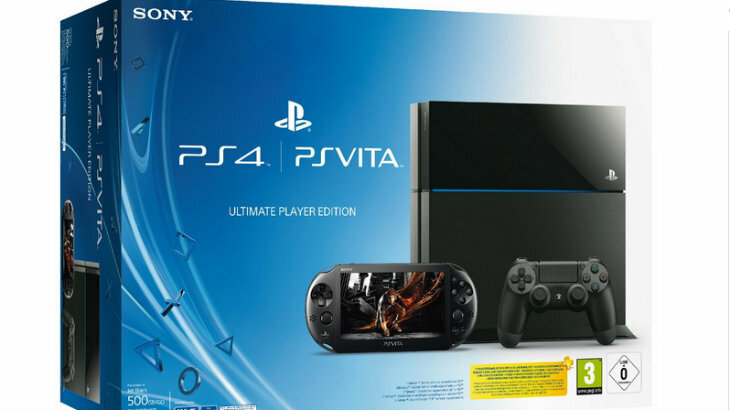 I’m sure many of you would love to get this bundle… if it meant the PS Vita was free. Do you think this kind of bundling is a good idea, or has that ship already sailed for most avid PlayStation fans?